Hi! 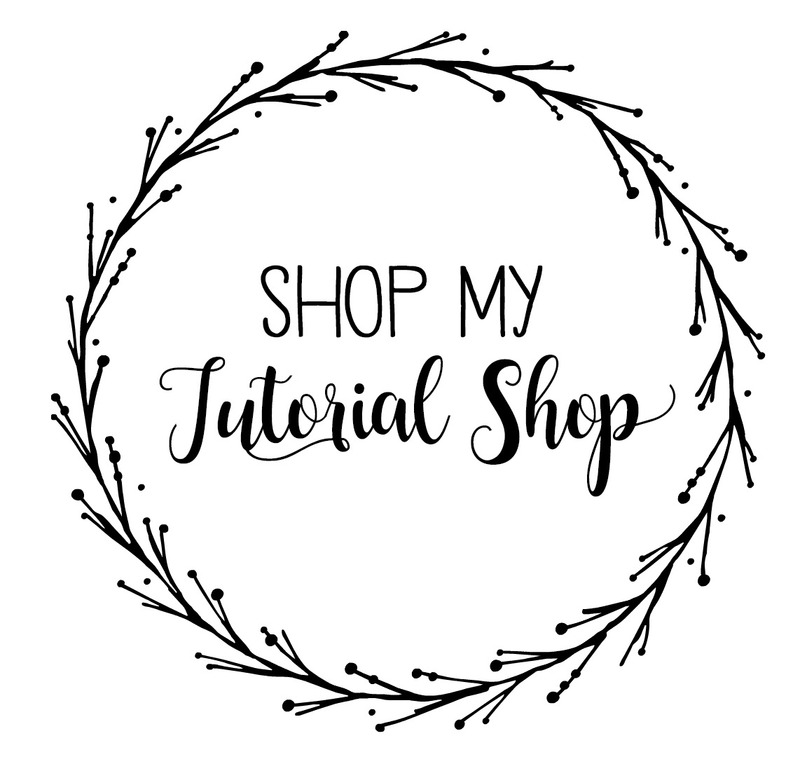 Welcome to the Crazy Crafters Blog Hop, with special guest… ME?! Are you kidding me??! 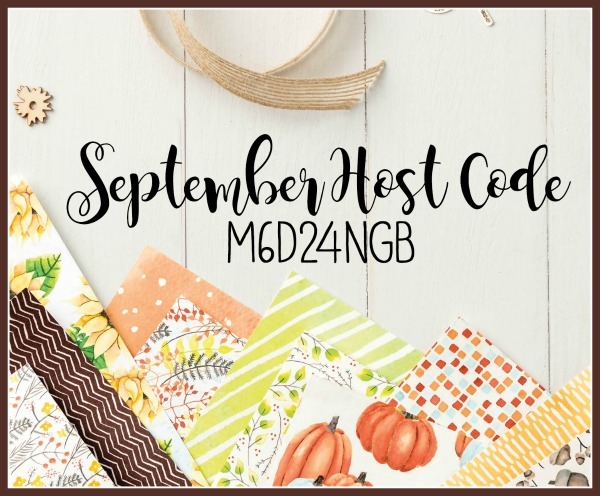 I seriously almost peed my pants when Kylie Bertucci asked me to be the special guest on this week’s blog hop. 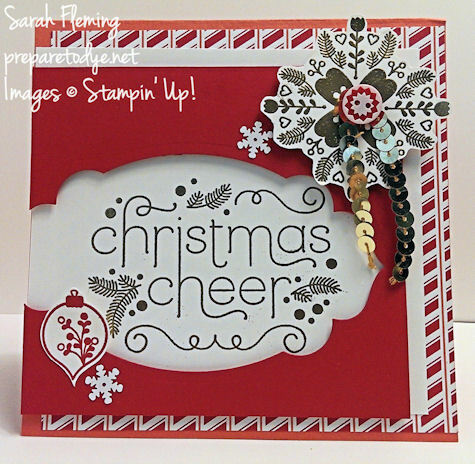 The Crazy Crafters are Kylie’s Stampin’ Up! team. What an honor to hop with this amazingly talented team! For the blog hop, everyone is CASEing one of my cards (Copy and Selectively Edit / Copy and Share Everything). I can’t wait to see which cards the Crazy Crafters chose to CASE and what they do with them! For my card, I chose one from over three years ago. I made this card in August 2014, and it’s been one of my top pinned cards ever. So I wanted to see what I could do to update it. As you can see, I kept the layout, the color scheme, the gold embossing, and the kind of Nordic feel of the card. 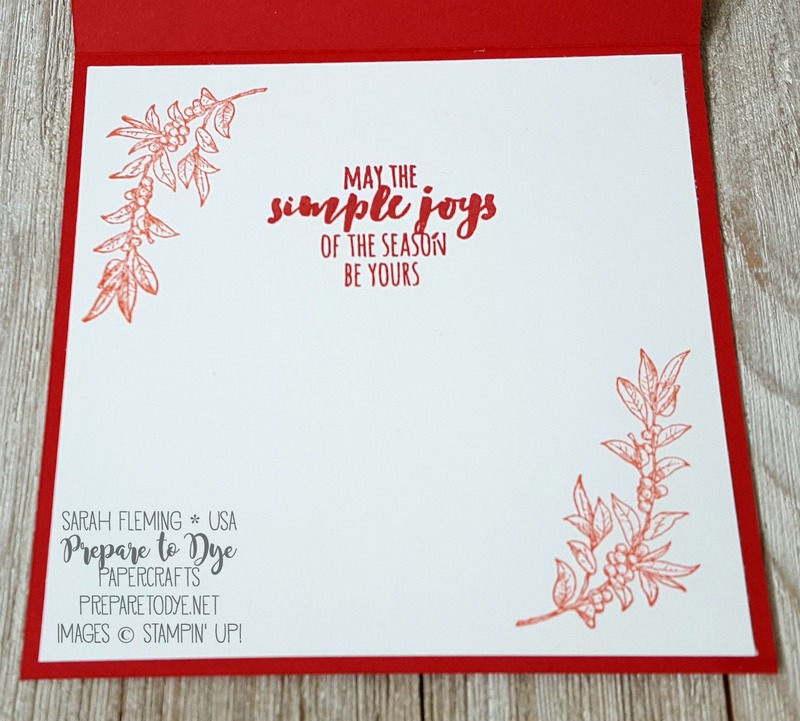 Everything I used on the previous card is retired except for the colors, so I kept Real Red, Calypso Coral, Whisper White, and Gold for my new card and updated everything else with current products. I absolutely love the Musical Season bundle this year! It is gorgeous. 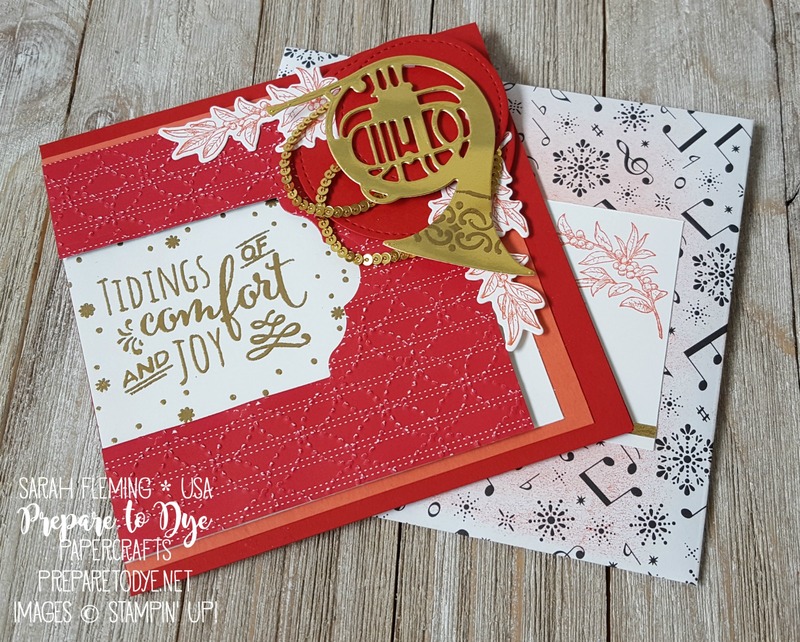 My sentiment and the snowflakes are from the Christmas Pines stamp set. 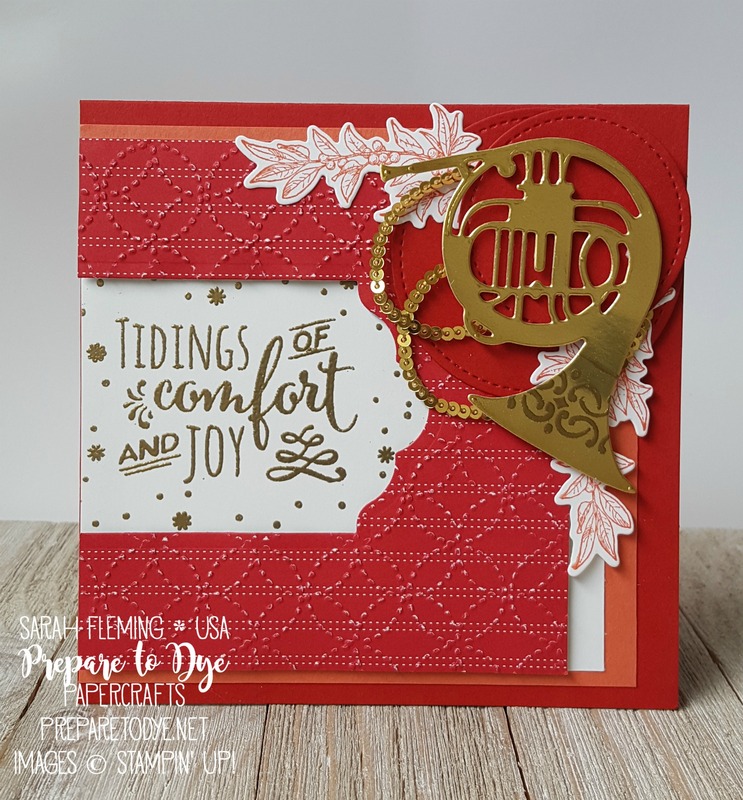 This time for the designer paper, I used the Quilted Christmas paper and embossed the paper with the Quilt Top embossing folder. The card is square (5″x5″), so I needed to make an envelope to go with it. I kept with the music theme and used the Merry Music Paper. It’s lightweight, so it is perfect for making envelopes with the Envelope Punch Board. After I punched and scored the envelope, I sponged it with a Sponge Brayer and Calypso Coral ink. 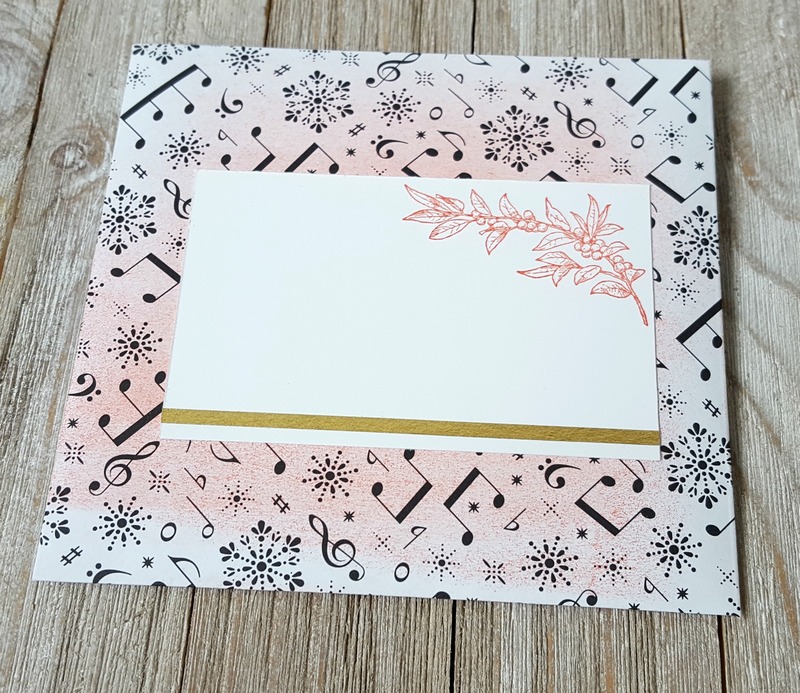 I added the Whisper White piece for writing the address and stamped it and added washi tape to match the card. Both wonderful cards Sarah! Thank you so much for hoping with us and letting us CASE your cards, it has been so much fun! You’ve surpassed yourself, Sarah! What a great card! Thank you for joining us on our blog hop and thank you so much for all the inspiration you’ve provided!